How to backup iPhone contacts? Home >Tutorial > How to Backup iPhone Contacts? 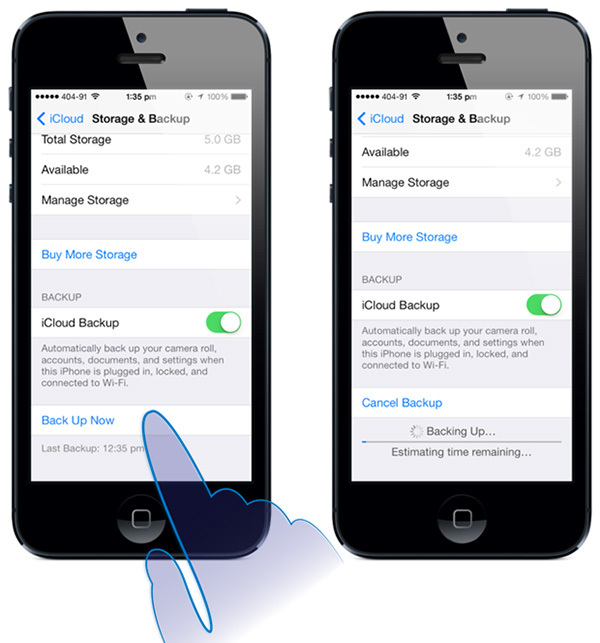 To iPhone users, it is necessary to back up iPhone contacts of your friends, family and acquaintances. This task may ensure that contacts won't lose when unexpected things happens, e.g. you lose you iPhone. Here is how to backup contacts from iPhone using Appandora, iTunes and iCloud. Part A. How does Appandora backup iPhone contacts? Part B. How iTunes backs up your iPhone contacts? Part C. How iCloud backs up your iPhone contacts? Appandora helps you manage contacts, notes, bookmarks, messages and callhistory between local computer and your iPhone/iPad/iPod. Here is a tutorial to show you how to back up iPhone contacts to your computer. Step 1. Click Information on the left panel and Appandora will show all contacts in the main window. Then,click "Backup" button. Step 2. 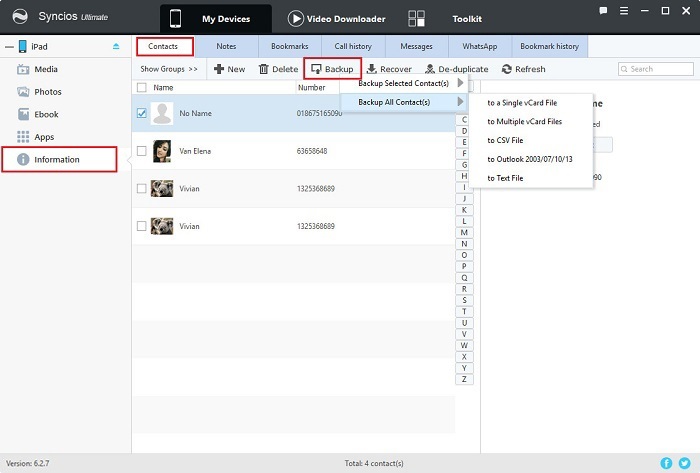 Browse backup location and backup contacts from iPad/iPhone/iPod to PC. Step 3.Select Contacts for backup. You can also choose other items. 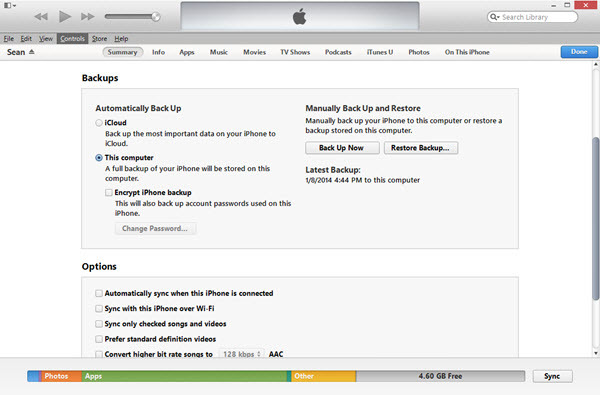 iPhone users may know that iTunes backs up everything of iPhone first when you sync with it. It will save all your iPhone files including contacts when you lost your contacts from iPhone. But iPhone users are not allowed to preview, even access the backup files. They are not regular file type, but a SQlitedb file. Step 1. Run iTunes and connect you iPhone to computer. Then click “iPhone” button to check the detail information. Step 2. Click “Back Up Now” button to begin your iPhone contacts. The last option for backing up iPhone contacts should be iCloud. To backup iPhone contacts, you must have the iOS 5 operating system on your device at least, or a later version up to the most recent, iOS 8. Just access the iCloud service through the “Settings” menu on phone under “Backup and Storage.” Don't forget to enable the backup option in order for this to take effect. When your iPhone is connected to Wi-Fi, it will periodically backup through iCloud, or you can do so by connecting your iPhone to a power source. Syncios is a free yet powerful iPod/iPhone/iPad/Android to PC transfer software that enables you transfer Messages, Call logs, Contacts, App, Music, Photo, Video, Ebook between PC and your iPod/iPhone/iPad/Android devices. Besides this, you can also get unlimited wallpaper and ringtons on iPhone/iPad/iPod by Syncios Mobile Manager. Copyright © 2005-2019 Appandora. All rights reserved.